Clorox surprised Wall Street with a solid quarter and outlook on Thursday. TheStreet talks with Clorox chairman and CEO Benno Dorer. Clorox continues to win with wipes. And then there was Clorox (CLX - Get Report) with a surprisingly clean quarter and outlook. The bleach and nutritional supplements manufacturer reported fourth quarter fiscal year earnings of $1.66 a share Thursday, beating estimates for $1.58 a share. Sales came in at $1.69 billion versus forecasts for $1.72 billion. Clorox said it sees fiscal year 2019 earnings in a range of $6.32 to $6.52 a share. Wall Street anticipated $6.37 a share. 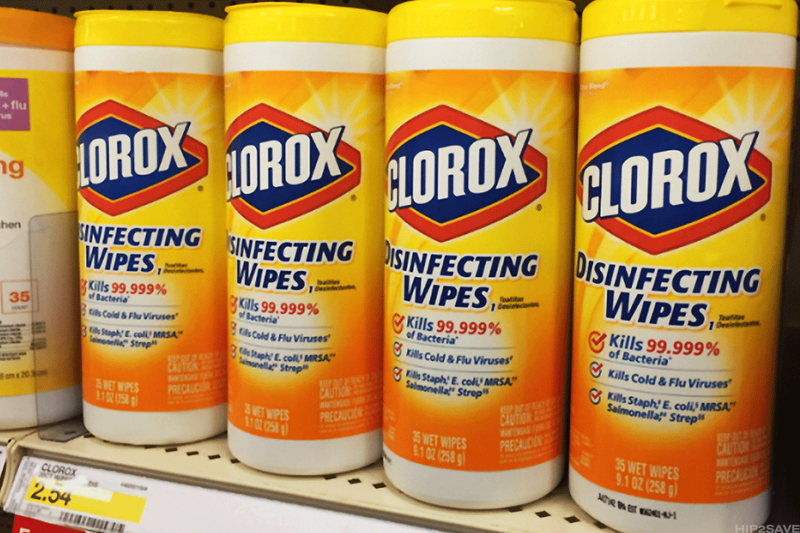 Amidst a see of ugly quarterly results from packaged goods players amid inflationary pressures and sluggish store sales, Clorox managed to notch sales successes in its key cat litter and disinfecting wipes businesses. The market rewarded Clorox shares, sending them higher by 6% on Thursday's session, bringing the year to date performance to a drop of 2.2%. "No surprises, this was a really clean quarter -- we delivered results that were exactly in line with our expectations," Clorox chairman and CEO Benno Dorer told TheStreet. Dorer may need to win over some on Wall Street that the upbeat outlook is achievable. Said Wells Fargo analyst Bonnie Herzog, "Overall it was a strong report, though there are some holes to poke. "Overall, we think the stock should trade higher today given low expectations, but we believe upside will be limited as FY19 EPS will mainly be driven by share repurchases and there will likely be lingering skepticism surrounding the margin outlook." TheStreet talked with Dorer about the quarterly surprise and the company's outlook. What follows is an edited and condensed version of the interview. TheStreet: Earnings season for many of your peers hasn't been great, but here you are with an earnings beat. How'd that happen? Dorer: No surprises, this was a really clean quarter. We delivered results that were exactly in line with our expectations. I was happy to see continued strength on cat litter, Clorox disinfecting wipes. One thing that is particularly remarkable right now is that in many of these very contested, competitive categories we are in we have such sustained market share strength. Home care, which is the most competitive category for us, has seen four years of consecutive market share growth. Glad trash bags have seen three years of growth. Hidden Valley three years of growth. So we are seeing sustained strength on the businesses we are executing really well on. The one business that was a negative surprise was the continued bad weather hangover on Kingsford charcoal that also had a soft third quarter because it was the coldest and wettest weather in many years. April was really weak out of the gate, too. That impacted our sales results by negative one point in the quarter. One thing I continue to feel really good about with our company is that we do what we say -- steady results no matter whether the times are good or bad. TheStreet: Is the cat litter business officially turned around? It has seen some mixed performances for years. Dorer: I am willing to officially declare that the cat litter business is healthy and strong. That's because of the sustained market share growth, the sustained success of the innovation. Our new product Clean Paws is the biggest innovation in the last year in the category. I am also willing to declare that because we will continue to have innovation and we feel good about our future plans. I would say that's an example of the strength of the company and brand-building capabilities. We invest in our brands, we keep the value sharp and we support our brands. We also engage consumers online. TheStreet: Proctor & Gamble (PG - Get Report) said recently it will raise prices on many of its products to combat rising inflation. Where can you lift prices right now? Dorer: We have taken a courageous and aggressive stance on pricing. We are taking price increases on half of our product portfolio this fiscal year. That comes on top of pricing on disinfecting wipes and about a third of our professional products this past fiscal year. Both have been successful. We are taking pricing confidently because these are cost justified price increases, because we have a lot of experience taking pricing and we know how to manage through this with retailers. Importantly, we have brands seen by consumers as delivering value and that's because we are investing in them. When we talk to retailers about pricing in that same conversation, we also talk to them about brand-building and innovation plans. That's because they know that pricing is a pre-requisite for us to be able to keep driving their categories. Ultimately what they want is category growth. The alternative to price increases is to take spending out, to lay off people and do things that may sound productive for a quarter. But in the long-run those are detrimental to our ability to create shareholder value. That's not the Clorox way. TheStreet: So what you are saying is that you have managed to successfully increase prices in an ultra-competitive industry? Dorer: We are in the process of implementing pricing. That pricing is so far proceeding in line with expectations. We realize it's early. But we also realize that we have a lot of experience taking pricing. Taking pricing is not easy in this environment, but I would say as a company we are confident in our ability to take it because we have brands that are indispensable to consumers and retailers and because we have new innovations. Clorox cleaned up in the latest quarter. TheStreet: Success with price increases factored into your profit outlook? Dorer: We have a solid outlook. Importantly, it returns to margin growth. We expect that margins will be flat to up modestly with the back half of the year being key. Pricing is a key component that will allow us to do that along with our cost savings programs. TheStreet: Are you seeing disruption in your business from the shift to digital shopping? 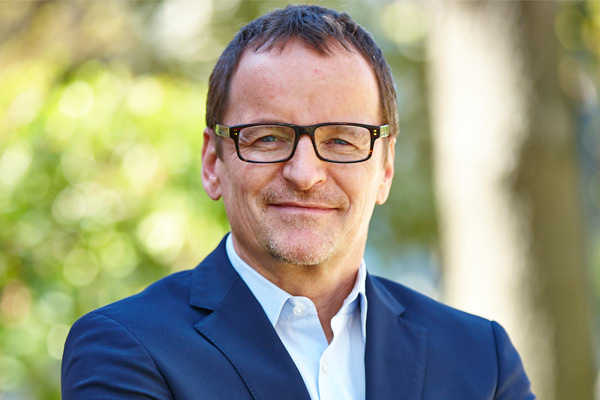 Dorer: Digital is clearly a disruptive force both for consumers and retailers. Disruption has two sides to it. It is a risk if you don't do anything about it or are doing the wrong things. And it's an opportunity for Clorox because I think we are doing the right things. Our returns on investment in the digital field are really strong. That is why this fiscal year we will invest about 55% and 60% of our advertising spend on digital. I do not know of another company in our space that does that. TheStreet: On your watch, Clorox has acquired two businesses to get into the nutritional supplements space. What's on your radar now? Dorer: We have said we have three areas of opportunity. The biggest one is clearly in the health and wellness space. I feel as though that is a real growth runway for the company. We also continue to look at the natural and personal care space. We have a great brand in Burt's Bees and think there is an opportunity to perhaps tuck-in brands that may have a geographic footprint or origin or targets a different consumer. We also continue to be interested in ethnic food enhancers, dressings, marinades because obviously we have a strong track record of building brands in that space such as Hidden Valley. But I would add that our biggest priority is to drive our core brands with our core customers. We think we have a lot of runway to grow the current categories we are in but also take existing brands into new categories such as in Burt's Bees, where we have recently gone into cosmetics and were quite pleased with the results. TheStreet: Burt's Bees sports drinks on the horizon? Dorer: We definitely know on Burt's Bees we have the consumer permission to be in quite a few more categories than we are in today. The opportunity is to do that with discipline and pacing. What we don't want to do, which we see some of the smaller brands do, is try to do to much too soon. We want to build one stepping stone after another on Burt's Bees. TheStreet: Do you think it's fair that Clorox is lumped in with other consumer products companies by Wall Street? The Street says the category is all slow growth, but your quarter and outlook say otherwise. Dorer: I manage the business with an eye on the long-term. I never get too excited when things look great like on a day like today. I also don't get too low if there are other days that aren't so good. We focus on what we can control and that is adding a string of strong fiscal years. What we do tell our investors is that in this environment you have to look at the industry company by company. We have heard about a lack of pricing power in our industry and we have shown that we can take pricing in this environment. We have heard about lack of innovation in this industry and our company has proven year after year we are strong innovators. We have heard about an inability to grow in a mature market like the United States and we have shown we can absolutely grow. So a double click on individual companies will show that in any environment there are strong companies that give you potential to out-perform the sector. Of course we believe Clorox has the potential to out-perform. Catch more interviews with the biggest names in business from TheStreet here. TheStreet talked with Dorer about workplace diversity in Oct. 2017. Watch below.